Cancer is the second leading cause of death in the United States, with an estimated 550,000 Americans dying every year. Seniors over the age of 65 make up the largest population of individuals affected by cancer. The encouraging news is that recent years have seen a small decline in the number of cancer deaths. According to Dr. Ahmedin Jemal, author of A Cancer Journal for Clinicians, the decrease “largely reflects improvements in prevention, early detection, and treatment.” In addition, more cancer patients than ever before are coping with and recovering from cancer at home - rather than in a hospital or long-term care facility. Many patients attribute this as one of the reasons for their success in beating cancer. ClearCare Online is proud to offer a fully functional homecare system in an effort to further help patients fight cancer at home. 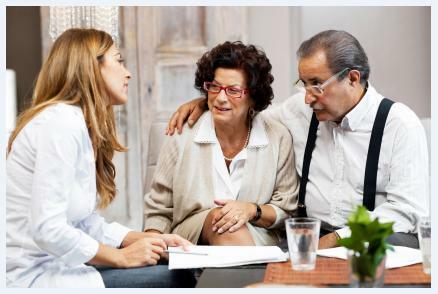 Let’s discuss just a few ways homecare software helps seniors going through cancer treatments. Cancer patients require careful monitoring, which makes homecare software an invaluable tool. Families can easily coordinate care between the patient’s team of doctors, nurses, social workers, physical therapists, and caregivers. Cancer patients undergoing chemotherapy treatments suffer emotionally as well as physically. They may worry if they will ever feel better, and wonder how they’ll manage day-to-day activities. Seniors often become depressed, especially if treatments last longer than they anticipated. Let your senior patients know that you really care. This may mean stepping out of the role of “caregiver” and becoming a friend as well. A typical care provider may come to her shift ready to provide medication redminders and prepare meals, while a truly engaged caregiver arrives with a small token, such as a new scarf for her senior client, or simply offers a comforting hug. Emotional support may be the most important part of a cancer patient’s recovery. Cancer patients and their families should be proactive. This means taking charge of the disease, and planning for potential crises. Here again, a reliable homecare system like ClearCare Online can help. Home care agencies utilizing homecare software will keep detailed records of the patient’s condition while as home, as well as contact information for all family members. This means that agency administrators can easily get in touch with the patient’s loved ones in the event of an emergency, while also monitoring daily activities. Coping with cancer and chemotherapy is incredibly taxing on the elderly. They may need assistance with daily activities long after the chemo treatments are finished. With the help of a qualified caregiver and homecare system and homecare software like ClearCare Online, seniors can still live comfortably at home – and hopefully regain their strength and good health!